UV panel is an advance form of security panel that shows a fluorescence image when exposed to UV light. It is a cost-effective and easy way to protect against fraud and counterfeit cards. Users can design any logo or trademark in each card without paying any additional cost. 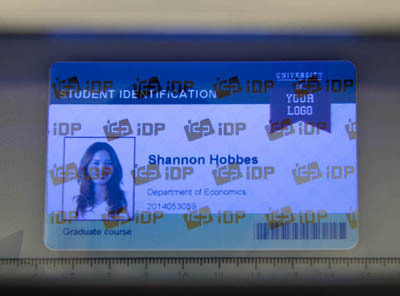 This is the perfect solution for low volume, low cost and mid range issuance of security ID cards.